Going through the mandatory kit list two nights before the Salomon “Ring Of Steall” race sums up how un-organised i had been in the preparation for my first Sky race and the biggest run of my life but luckily i had all the kit i needed so no need to panic?! Last year i took part in the VK race up Na Gruagaichean which takes place on the Friday night of the Glencoe Skyline weekend and although it was an immense race in itself, watching my brother cross the finish line of the Ring Of Steall the following day and not sharing the experience with him really gutted me! 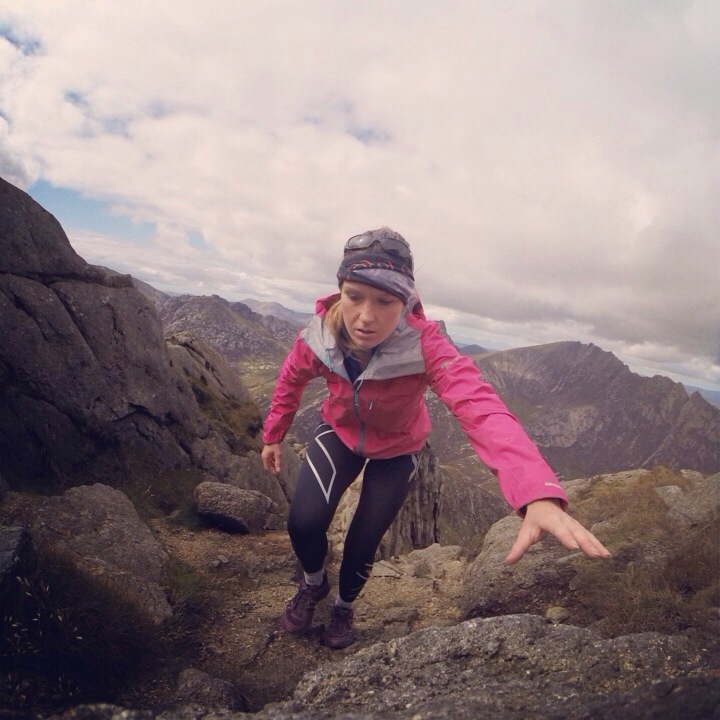 I had entered the Ring Of Steall earlier that year but ended up doing my usual of talking myself out of it, telling myself that it was way above my capabilities and that with the small injury i had, i would have no time to train properly in time for the race. “I regret that run, said no-one ever” but that feeling of regret from not running a dream race stays with you and i told myself that i would 100% be taking part in the 2017 event! As soon as the 2017 entries opened i was on the case and was so happy to get my place before they all sold out. This year i was going to train hard and do this race! Fast Forward 8 months and there i was standing on the start line surrounded by some very fit looking athletes and here’s me thinking, what the hell am i doing here!! My year of “hard training” had consisted of some hill runs in preparation for our local Goatfell race in May, some very sparse hill interval sessions and a few longer forestry runs. Not ideal to say the least but things in my life very rarely go to plan! Luckily i had one thing up my sleeve to bully my brain into the “I can do this” mode. 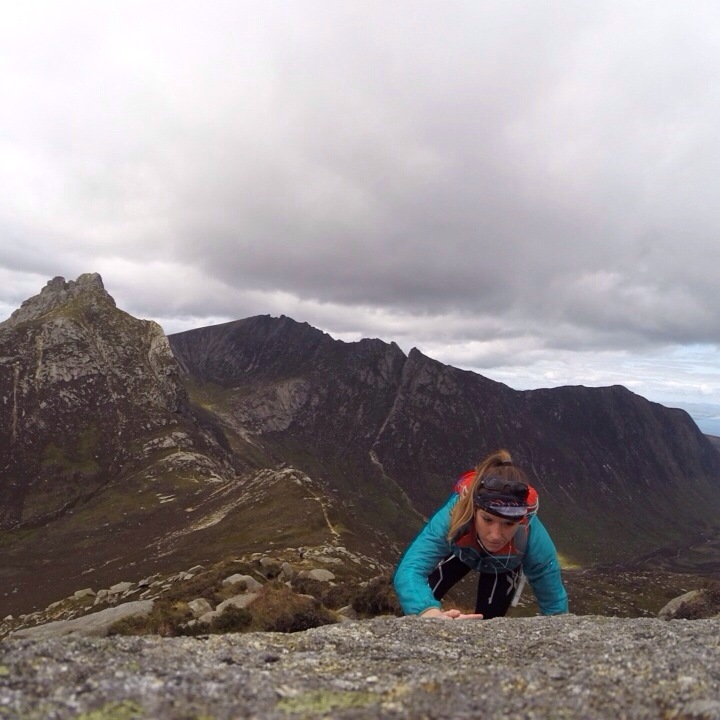 This was a great memory of a challenge that i did with my good friend Lucy back in May, The Arran 700s challenge. This was no way a run but we were on our feet for 17 hours and the height gain and distance was further so i knew i had it in me somewhere..
For some reason i had ended up near the front of the crowd at the start line but i managed to get myself back a bit and as the race filtered out along the road i was now comfortable and just trying to relax and enjoy the momentum. The first check point came pretty quick and a quick glance at the race route tattoo that was welded on my forearm told me that we were now headed into some proper Sky running territory and some lovely Scottish mountains. A boggy climb weaved its way up the steep slopes of Coire na h-Eirghe to check point 2 and from there it was only a short but steep push to the first summit of the day and check point 3 – Sgurr an Lubhair. The weather at this point was typically Scottish with clag and smir rolling in and out but all the better for adding some extra drama to the scenery. Now came the first major excitement of the day, a fairly exposed but fun scramble along what is called “The Devils Ridge”. I think hiking with a heavy pack would prove more of a challenge but moving fast and light across this amazing ridge was nothing too difficult and a great buzz. After the thrills of the devils ridge it was another wee push up to our highest munro of the day and check point 4 – Sgurr a Mhaim, then much to my surprise the decent down into Glen Nevis! The decent from Sgurr a Mhaim was steep and scree laden so some “scree surfing” skills were a bonus. Mine were certainly lacking but a few more experienced scree surfers flew by tumbling every now and again but picking themselves up and continuing to fly downwards towards Glen Nevis. Amazing to watch these skilled human beings in their element! I had made a new pal called Steve on the way off Sgurr a Mhaim so we kept each other company until the aid station at Glen Nevis where we then lost each other. It’s always such a great thing in these races where you meet up with folk, share stories, keep each other going then away you go to share stories with the next person. After refuelling at the only aid station of the day and getting some brilliant cheers of support from family( including my wee collie dog) and spectators it was onwards and upwards along the tarmac road leading to the start of the path up the side of the Nevis Gorge. Tarmac is never a good thing to run on but luckily it didn’t last long before the Nevis Gorge warning sign was in sight. “DANGER OF DEATH” it says….. and i guess when hoards of camera ridden tourists squeeze up the steep path you can understand why. Luckily there was hardly any tourists and only a few runners on the path so there were no problems and before i knew it, the path had popped out of the forest to reveal stunning views of the Steall falls spilling down from great heights and into the Nevis gorge – Stunning! A refreshing ankle deep wade across the burn came next to reach check point 6 before heading for the long and relentless climb to our second munro of the day – An Gearanach. I some how managed to pass quite a few runners on this section as the cup of coke, soreen and jam sandwich from the heavenly feed station had well and truly hit my blood stream. 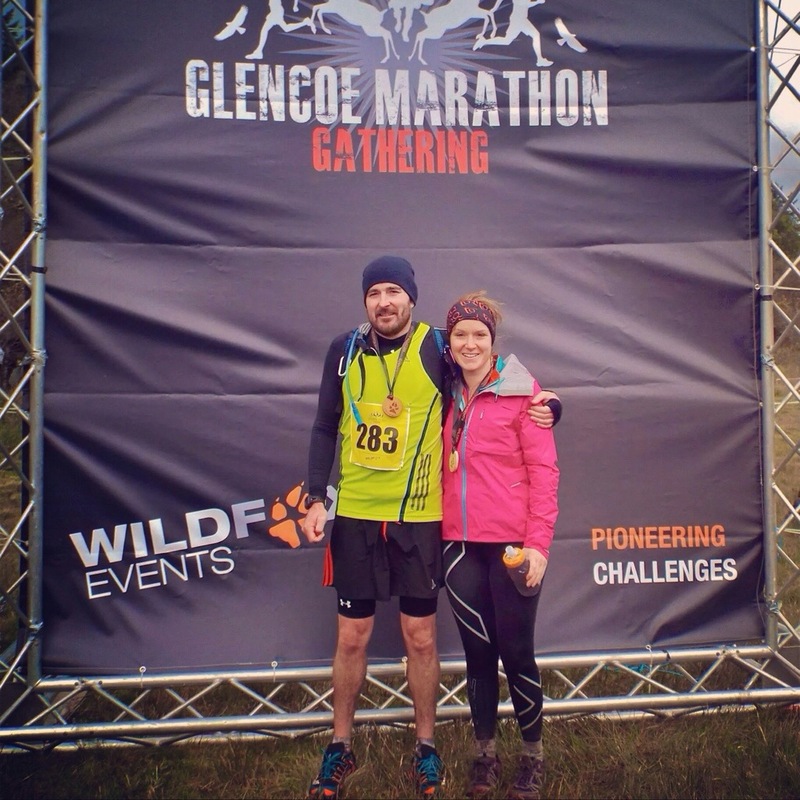 Thanks to the member of support crew for her wise words of advice below the last push to An Gearanach…. 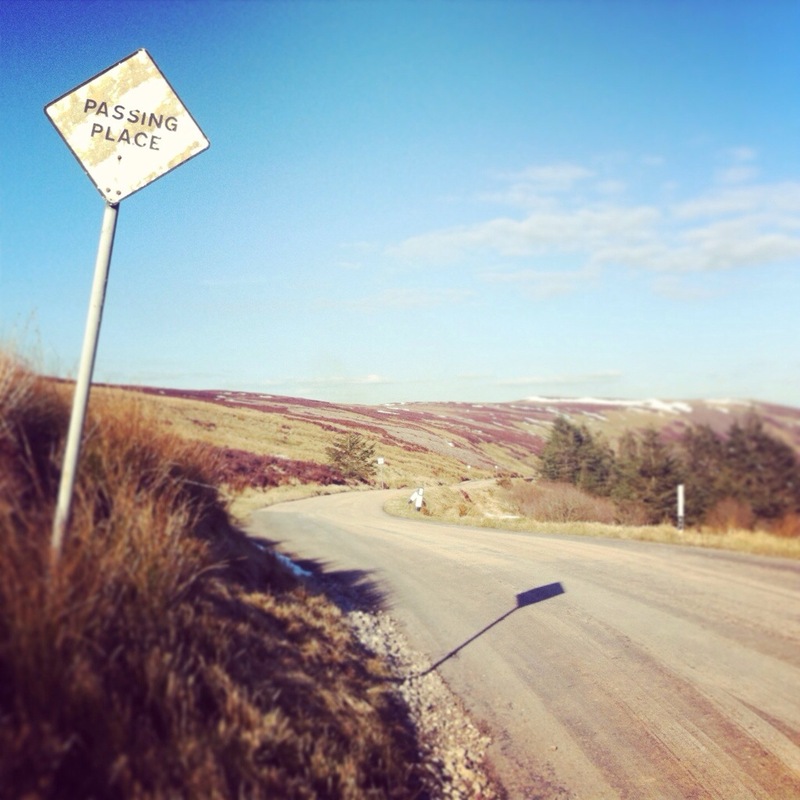 “Keep pushing, ignore the legs” she shouted – You have no idea how much this helped me! An Gearanach summit( Check point 7) blew my mind! The weather had just decided to burn off any low clinging cloud to reveal panoramic views of every summit the eyes could see – WOW! I was so happy for getting to this point in the race feeling good and the scramble ahead along the An Gearanach ridge just made me even more excited and happy that i had pushed myself to do this race – This was running at its very best – Skyrunning! What another exhilarating scramble the An Gearanach ridge gave, a long, rocky crest with exposed sides and those views!!! I literally grinned the entire way from here to the next summit of Stob Coire a Chairn( check point 8) then from here even more grinning as it dawned on me that i was now heading for the final climb of the day – Am Bodach. Although a steep push to reach the summit, it was an enjoyable climb and the views from the top looking across to where we had started from that morning were just incredible. I didn’t get the girls name but myself and her had a good laugh on the last two climbs as she’d climb by me a good bit then i’d get by her on the downhills. We kept this going for quite some time. I lost her on the decent to check point 10 on the bealach and from here i didn’t see another soul until a good bit down. Loch Leven was glimmering in the afternoon sunshine and there was a glow of happy but exhausted faces negotiating the sea of bog down into Kinlochleven. Another skill of the experienced mountain runner is the “Bog surf” do it correctly and you can shave minutes off your time, surfing at great speeds downwards in hope you don’t skim over a hole in the ground which swallows your legs, sometimes thigh high. I danced with the slippery grass more so than attempting the “Bog surf” but it sure was a fun and quick way of getting down off the mountains. Check point 11 appeared and the track of the West Highland Way hit my legs hard, Esp the wee added climb after the check point that my brother compared to Mount Everest at the end of last years race. Give me bog and slippery grass over road any day! Thankfully this section was over quickly and it was then a nice descent on woodland trails down to meet the road back to the starting point at the Ice Factor. I had tried not to look at my time throughout the race as i just wanted to complete it and enjoy my first SkyRunning experience. 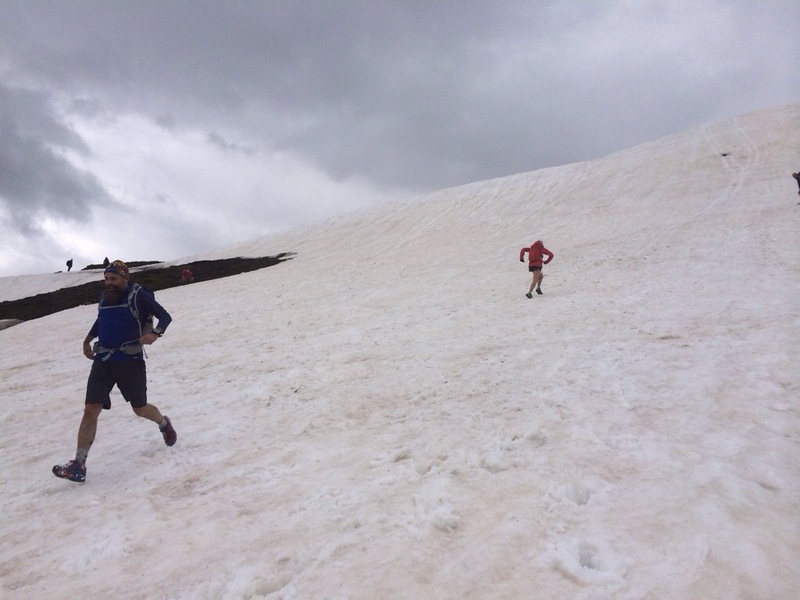 I met another runner near the road and shouted to him that we could both make it inside the 7 hours if we just pushed some more – He smiled and started running faster to which i tried my best to keep up! It really was a blessing to meet someone on this road section as i really wanted to stop but having someone to run with kept me going all the way to the finish line where he then accelerated past me as the crowds cheered us on! Thank you www.skylinescotland.com for a truly epic first sky running experience. I’ll be grinning all the way until the next one! I awoke to the sound of my very mellow alarm clock at 3am on Sunday morning. I pretty much had zero sleep after my partner Mark had a life boat callout just before midnight and there may of been a chance that me and Caileag might have been needed with the MRT in the search for a missing person. Thankfully all ended well with the person being located safe so no callout for us! It was a dry but claggy start as me, Lucy and wee Caileag set off from Pirnmill post office and headed up the woods, hand-railing the Allt Gobhlach burn. Mark, after zero hours sleep and being out for a few hours in the lifeboat, kindly ran us through to save going back for a car late in the evening – He’s a keeper! Caileag was completely oblivious as to what her day entailed with two crazy woman so she was her usual mad energetic Collie self all the way up the Pirnmill ridge! It seemed like no time at all that we had completed all three summits of the Western ridge and were re-tracing our foot steps in the Clagg to find our descent Bealach down into the wilds of Loch Tanna. Lucy made me giggle on the ridge, as although we were doing this huge, epic hill day, her bird spotting/wildlife skills and knowledge, never seem to switch off and i learnt all about the Golden Plover who seemed to be following us and giving us a display of vocal skills from every nook and cranny. The descent from the Bealach was a very steep and stoney negotiation so care was needed. It dawned on us that this ground was really different terrain compared to our typical Arran landscape and interesting that we have so much variation all on one small island. As we cleared the bouldery ground and lost some height from the ridge, the clouds started to crack open to reveal some beautiful blue skies projecting a golden glow over Loch Tanna, lighting it up like a mirror. Our next objective of the day was one that i think both me and Lucy had been trying not to think too much about. A great long slog was ahead of us up from Loch Tanna on pathless terrain, skirting around mini Beinn Tarsuinn and heading below the east side of Beinn Bhreac until we met the Iorsa burn. It was then a very steep push up the Leac an Tobair onto the connecting S/W ridge of Caisteal Abhail. The good thing was that we both knew if we put our heads down and battered on, when we reached Caisteal Abhail, that would be the Western hills complete and we could high five and focus on our next mission – The Northern Hills!! Hats off to the folk at SiS who created their caffeine gels – Lucy brought a few to share and they definitely gave us a boost and some extra mental focus for the steep slopes of the Leac an Tobair! We were relieved to reach the ridge leading up towards Caisteal Abhail and made good progress to the first summit on the Northern hills! Spirits were high and Caileag was feeding off our mood, also excited to be scrambling up the summit Torr of Caisteal abhail. The views were intermittent but the sun was getting higher in the sky and the heat was burning massive chunks out the clagg. After descending down off the summit and out the wind, we stopped for a re-fuel and giggled with joy looking back to the distant ridge of the Western hills and the great mass of open hillside we had just tackled. We had agreed that even if we didn’t feel hungry we had to force feed every hour and drink fluids as a crash from lack of food is never great when you need to keep going over such a long day! 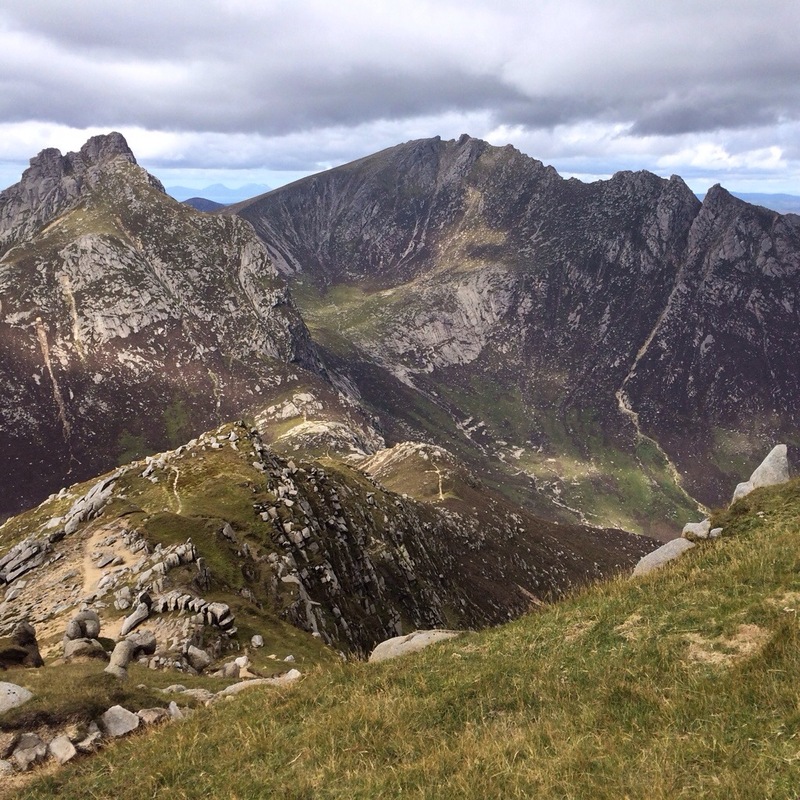 Our next mission was Cir Mhor, a fascinating mountain with great complex gullies to its North Side and amazing granite shelfs to it’s South( Great climbers territory – Not that I’m much of a climber!) 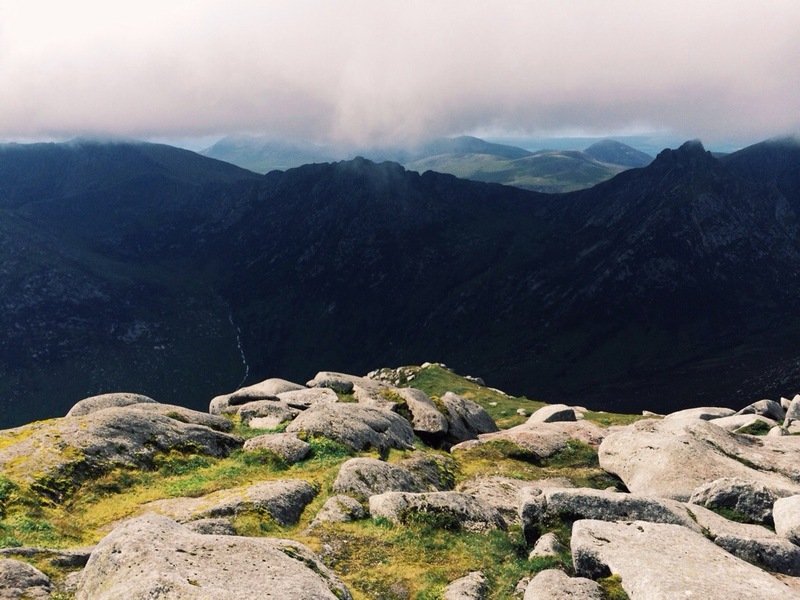 The view from Cir Mhor from Caiseal Abhail is one of a kind and no matter how many times i see it, it never fails to remind me of how small us humans are in comparison to nature and the land. A personal favourite spot of both mine and Lucy’s. Onwards and Upwards to Cir Mhor when Caileags tail pricked up and a she let out a wee grumble to alert us there was somebody or something up ahead.Four hillwalkers were descending off the summit so we stopped to say hello and let them by. They made the mistake of asking where we had come from then took to their wallets, handing us £60 to our fundraising pot for ArranMRT and MulanjeMRT. These were guys we had never met before in our lives! Kindness does not cost a thing (except in this case…. ) They most definitely made our day and we both couldn’t stop grinning! From the summit we could see how far we still had to go but with an extra boost we descended down to the Bealach connecting Cir Mhor and A’chir. From here we skirted around the A’Chir bypass path to the North side of the ridge(We had decided to get A’chir summit on the way back) which linked us up to our next climb – Beinn Tarsuinn. The sun had now come out in full force so it was time to lose a layer and bury the heads again until we reached the slopes of Tarsuinn. We met another few guys who were walking from Brodick to Lochranza, hats off to the guy at the front who seemed to be lugging everyone else’s stuff! Ultra trail runner Casey Morgan was out doing a “Taper run” which was probably as big as our challenge but he kindly stopped for a “selfie” with us and some encouraging words which again was such a good boost for us – Cheers Casey! Mark and Wally(Lucys husband), had kindly arranged to meet us in the Coire to the East side of A’Chir but when me and Lucy were working out our ETA’s the previous night i think we must have been a bit brain dead! They had both set off a bit early just incase we were ahead of schedule(lots of faith in us) but turns out we were a wee tad behind. Thankfully we got some communication and they took their time walking up Glen Rosa with plenty stops to slow them down a bit. Beinn Tarsuinn and Beinn Nuis were over fairly quickly but it was getting our heads around our next section which involved re-tracing our steps, as not to lose too much height, back along the ridge to Beinn Tarsuinn then back the same way behind A’Chir to reach the Coire where Mark and Wally were waiting. By this time and only four more summits to go, wee Caileag was starting to get very sleepy and when we stopped for any faffing she was curled up like a wee fox. I was so relieved that we had arranged with Mark to come meet us and take her off the hill for a well deserved sleep! The fact that Mark and Wally were just around the corner in the next Coire kept us all going! You just have to say “Where’s your Dad? ?” to Caileag and she switches to – Collie rocket mode! 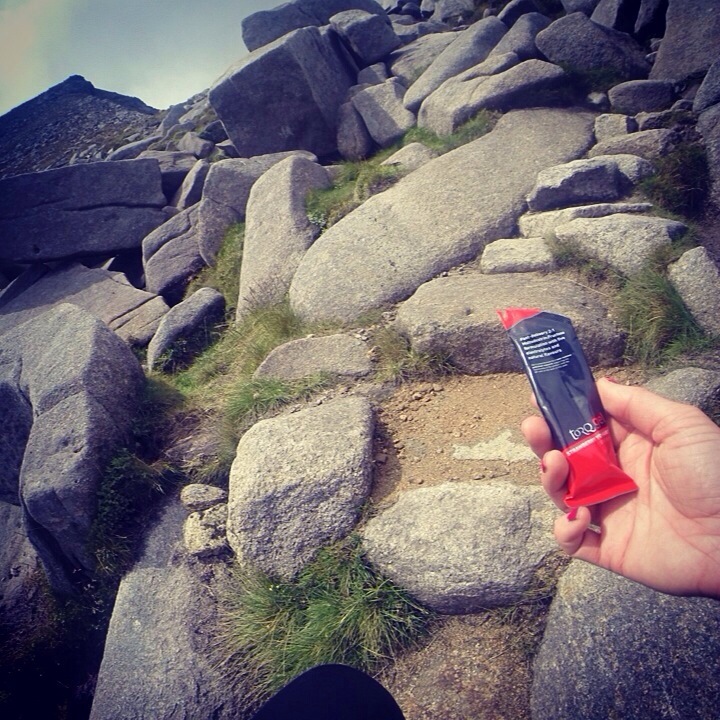 With much relief we reached Fionn Choire and were welcome with open arms and more grub – The definition of happiness! Wally had kindly made the journey to help me and Lucy up onto the summit block of A’Chir as without actually getting up on that – It’s not an honest tick in the box! With wobbly legs and brains and Caileag curled up with her dad having a snooze, we took to the extremely steep flanks below A’Chir and headed up to the summit. Wally became a human climbing frame and basically let us stand on him whilst we calmly freaked out at our lack of strength. On the summit block all confidence was restored and the euphoria of getting up to a summit we were both dreading with being shattered but now knowing we only had three more summits to go was another -Definition of happiness! Our ArranMRT team leader, Alan by this point had contacted us to ask where we were as he had back up supplies consisting of hot tea, biscuits and jelly babies to name a few.. Another boost for us leaving the comforts of the Coire and skirting around to the Saddle where we had arranged to meet. Having a proper sit down on the saddle surrounded by moral support and a cooked meal was perfect! With only one more major ascent and three summits left, we knew we were going to complete this challenge!! Caileag by this time was in full -fox curl mode- but luckily had the option of an Argo Cat taxi down out of the Glen with Mark and Alan. When we parted and starting gaining height up North Goat fell we had a view of the three of them walking to the Argo and although completely shattered, the wee soul was pulling on her lead to get to us – Dogs are so loyal! The scramble up North Goatfell was made easier with Wally up front leading and me just focusing on the back of his shoes and zoning out, what a nice feeling that was! The North Goatfell ridge is another favourite and i’ll never tire of the view as you gain height and look back down the ridge and the views beyond. It had added “WOW” factor on Sunday as by the time we were scrambling up it, the sun was low in the sky, projecting it’s golden hues once again on our bonnie hills. Me and Lucy were absolutely ecstatic reaching the summit of North Goatfell and from there Mullach Buidhe seemed effortless in comparison to our previous summit ascents throughout the day. With the wind almost non existent climbing up North Goatfell, it appeared on Mullach Buidhe with a vengeance, funnelling up the steep gullies below. 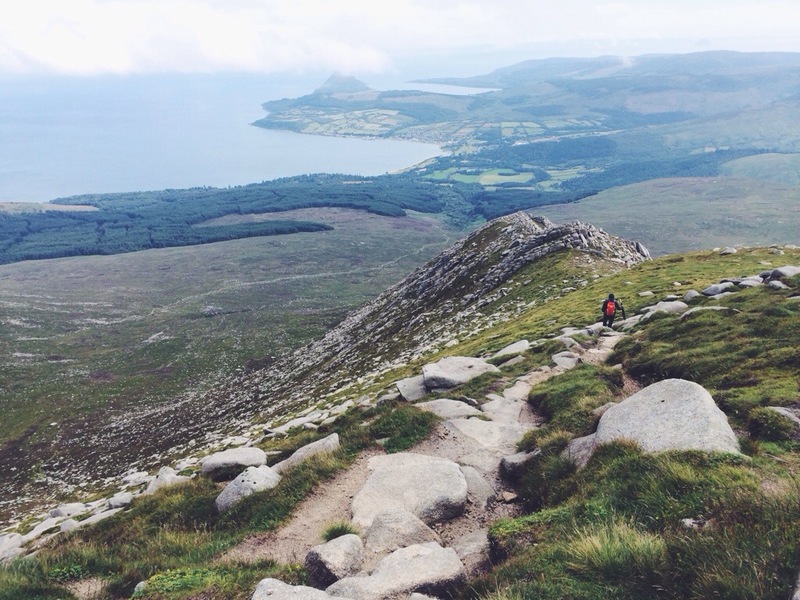 A quick high five and some whoop whoops and we were off like two giggling crazy women to our twelfth and final summit of our entire challenge – Goatfell! Again, this seemed to go with ease and we watched as the cloud teased us, sweeping in and out, covering the summit then clearing out again just as quick. The welcome sight of the highest pillar trig on Arran was overwhelming and we clung to it tightly until we could console ourselves – The views from the summit were clear and we could pick out every summit, Coire and Glen we had walked. 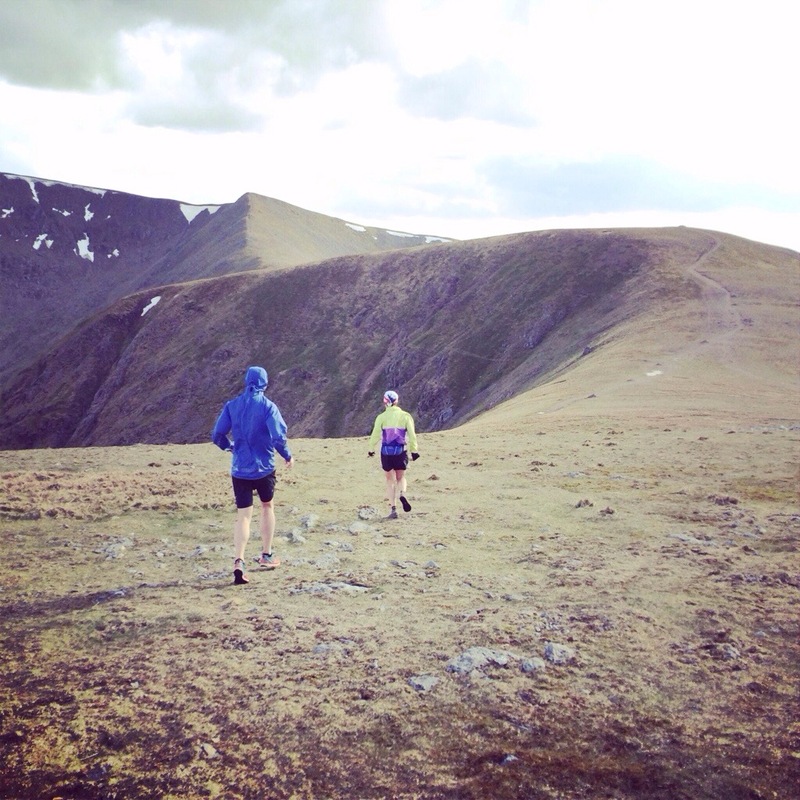 Caileag – 9 summits, 14 hours, 28km and a whole load of ascent. Descending off the summit, the cloud swept in and the tops were smothered. As for the challenge… One of the toughest and best hill days i have ever had and to do this challenge in the local hills that we love and share the experience with my good friend Lucy and wee faithful friend Caileag whilst raising money for a worthy cause close to our hearts – Amazing! Certainly an adventure that will stay with me forever! It’s been quite a while since my last blog but today I ran with a friend and we had a great conversation about how important running is to us, about positivity and about how lucky we are to be able to do what we do. Self confidence has lacked throughout my entire life and it’s something that i have always tried to keep to myself in fear of what others thought but the fact is, these thoughts are a vicious circle and the only way to get out that circle is to break free and don’t look back. I am now, in my thirties, only starting to understand that i am not alone on this.A problem shared is a problem halved. I seriously believe that through running, being in the outdoors and challenging ourselves we can change our mindset to let us see clearly what we are capable of instead of seeing ourselves in such a destructive way. I can honestly say that finding my soul in the mountains and spending all my spare time either running or walking in these wonderful places, is gradually making me a happier and more confident version of myself. Being able to share these positive experiences with others and seeing other people challenge themselves is extremely motivational and important to me. 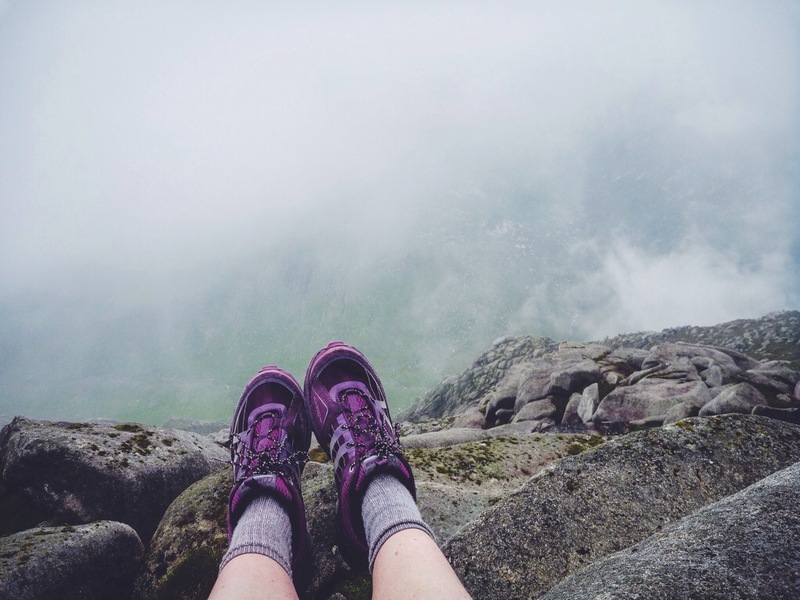 In a world which is full of clutter and with endless pressures of having to fit in and look a certain way in society( especially our younger generation) i think it’s important to strip everything back, be who you want to be, immerse yourself in nature, the outdoors and push yourself to do things that frighten you but excite you at the same time. The journey to a happier you starts right now so go for that run or adventure in the mountains and feel alive and fantastic! 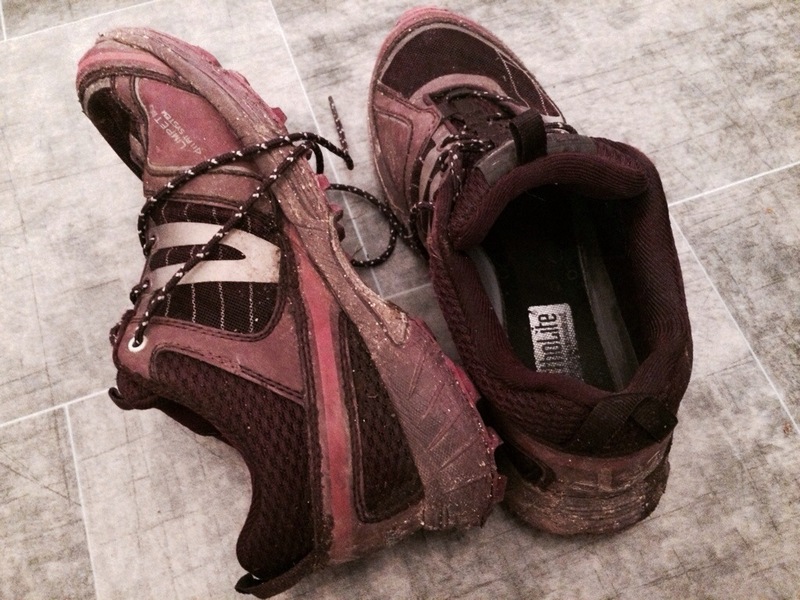 As I put on my favourite running shoes to venture out for a run in the cold, crisp December air, what were once a brand new pair of Berghaus vapor claws are now a pair of well worn,well travelled trail shoes that can tell a good story or two. Spring this year brought with it a chance in a lifetime for me to experience a year that I will never forget. Myself and five others were chosen to be part of an amazing team of runners for trail team 2014 who were kindly kitted out with brand new gear from Berghaus, provided with products and nutrition advise from Torq fitness to keep us fuelled and given a top notch head torch from LED Lenser so we could train morning, day or night. 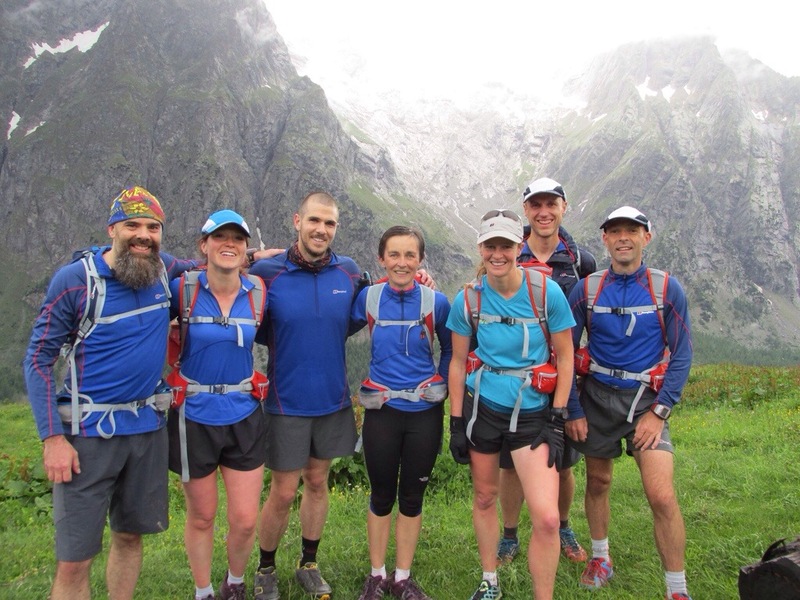 In the summer we were whisked off to the outdoor paradise that is Chamonix and spent three days running around the mountains of France, Italy and Switzerland meeting amazing people and sharing our passions for trail running. It’s safe to say that every one of us took something magical away from that trip that would inject our training and goals for the rest of the year! I have truly been blown away by everyone’s achievements following that trip and I think when people can get together, learn from and inspire each other, something really special happens! We are all capable of achieving more than we think and being in the mountains and pushing those boundaries for me is a constant challenge that makes me happy and fulfilled. Trail team 2014 has shown me that anyone, no matter how experienced, can achieve great things and I think the way people can simply talk about their experiences and inspire so many is a wonderful thing! I’m really excited to see those lucky souls who get to experience this chance of a lifetime in 2015 and look forward to hearing more inspiring stories and achievements. 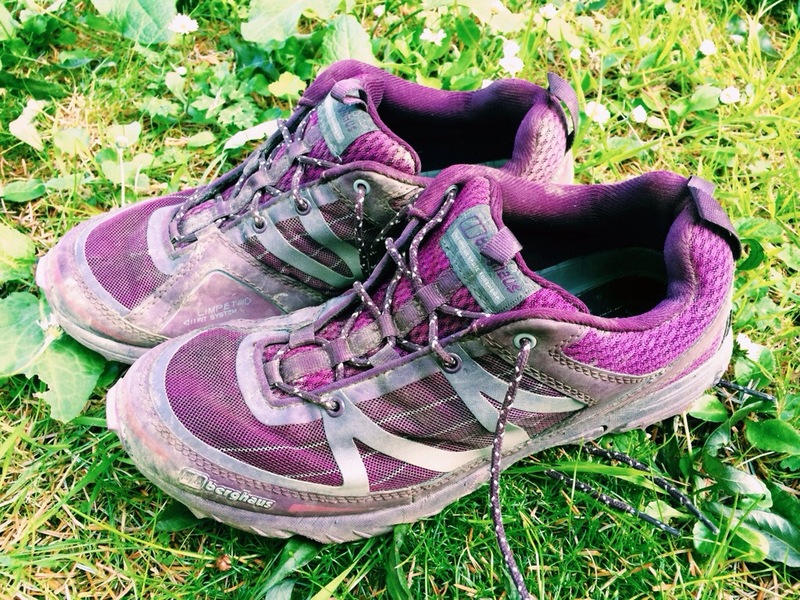 Life starts with a pair of trail shoes, just put them on and see where they can take you! Graham from the trail team was racing too and it was nice to meet up again briefly at the start and share our pre-race excitement. Graham set off in the first wave and myself and my brother in the second. We quickly lost each other in the mass of runners who seemed to be off like a shot. This was 26.2 miles & 1600m of ascent I was reiterating to myself, trying not to get caught up with the rush. I slowed down to a speed I knew I could maintain and managed to keep myself under control. Passing the Clachaig inn, crowds of supporters were cheering us all on and the climb up the side of the A82 began. A narrow, slightly boggy path led the way for the first 5 miles. I had to stop briefly to take my jacket off as I’d over dressed thinking It was extremely cold but I think that was just pre-race nerves. Not wanting to be a sweaty mess and be struggling in the first 5 miles I packed away my vapour storm jacket and just ran from there in my Berghaus base layer which was perfect. I think I got to the first 5 mile check point in just under the hour. I grabbed a cup of water, handful of jelly babies and took to the bog. There was no longer a nice defined path from this point to the start of the devils stair case. It was a bog fest – An every man for himself moment. until the start of the devils stair case. I looked up to see what looked like colourful human ants, zig zagging their way up the steep climb. I pushed myself onwards and upwards as fast as I could until I reached the top of the devils stair case. There was no false summit, the top was actually the top and I looked onwards to the amazing sight of a long downhill section straight ahead. The kind MRT marshall who offered me a few sweets at the cairn was my new found best friend. 8 miles in the bag and thoughts of the Goat fell race crossed my mind..
“that would be that race almost finished right now” I was thinking.. I forced myself to focus on the mission ahead and battered on towards Kinlochleven taking in the breathtaking views of the Aonach Eagach and surrounding peaks – spectacular! 10miles, 12miles.. The miles were flying by on this section and I was enjoying every second. 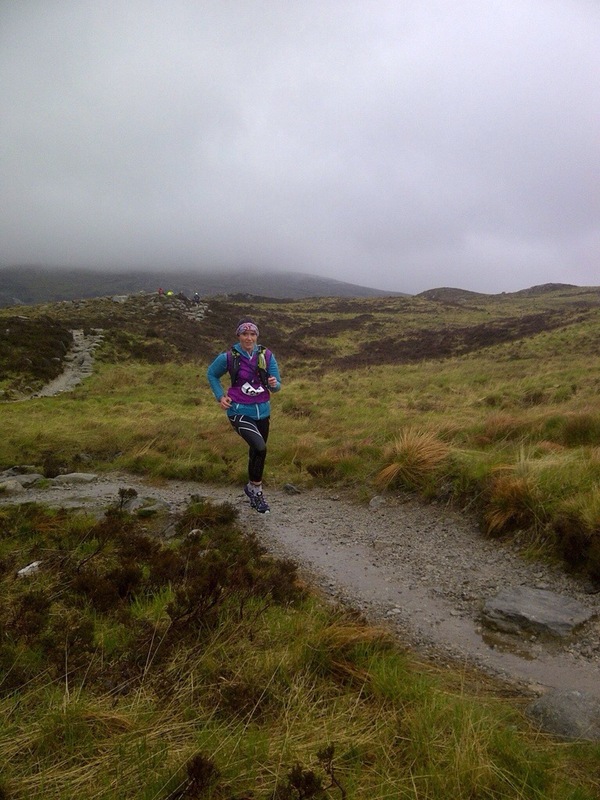 Before reaching Kinlochleven a marshal shouted to me that I was 10th female over all at this stage. I got really emotional after that, trying my best to hold back the tears as I knew i still had another half marathon and a few more mammoth climbs still to go. I reached Kinlochleven and the half way mark in under 2.5 hours and was happy to be met by my family here who were great support! I didn’t stop here for fuel and decided to keep going to the next stop. Not sure if that was a wise move looking back now as the hill out of Kinlochleven was a beast! I ran as far as I could but I was reminded at this point of Chamonix and the famous ” alpine flats” I was back there, lungs bursting, hands on knees, pushing myself up as quickly as I could. My energy was draining and I had to remind myself to fuel and not get carried away. I had eaten a torq bar and a few gels but was craving something savoury. Sea salt pretzels seemed like a good idea at the time but chewing them got muddled with inhaling so that was a non starter. A nice man I’d caught up with gave me some Kendal mint cake and after 10 mins or so that had kicked in nicely, sugar is best I thought! After this horrendously steep section, the path opened out revealing incredible views of the mamores. My mint cake had ran out again and I was craving all sorts of food I didn’t possess. I remembered my bag of jelly babies and after popping a few managed to focus on reaching set points ahead. A runner just in front had been with me for a while and when I slowed down or speeded up so seemed did he. I thought if I could catch up with him, maybe he would also like a jelly baby and maybe we could spur each other on a bit. I reached him and he happily took a few jelly babies and we got chatting. Jim was his name, a keen runner who had done a few marathons and ultras but nothing this hard he said. We came across a fuel stop at 17 miles in the middle of nowhere. What a blessing! I grabbed a cup of water and a banana and Jim did the same. We carried on running together until the 19 mile mark , talking about races, our jobs, dogs, life and how good a cup of tea was going to taste at the end. Coming out the glen the wind had picked up and was gusting quite hard. the imminent storm that was due to arrive later in the day! I looked up and recognised what looked like my brother in the distance. I looked down at my garmin and that was it – Only another 10km to go! That is just a lunch time run I thought.. I pushed on with Jim and caught up with my brother Jon. Jim by this time had got a second wind so he pushed on away from us after a few miles or so. The last 10km were tough, lots of small steep sections and rocky ground. Cramp was threatening both of us and thankfully we had each other to keep each other going. The last food stop, 5 miles from the finish was the most amazing of all! Hot fruit punch, love hearts and dry roasted peanuts.. Maybe we had actually died and were in food stop heaven..? With a well needed boost, off we headed. The sight of the mighty Ben came into view and we were nearing the last few miles. An unexpected climb before the final descend through the forestry was a cruel reminder of how brutal this race was. We pushed as hard as we could to the top and finally reached the forestry track to the entrance of Glen Nevis. Even the down hill sections were proving challenging at this point but we were nearly there! Every corner seemed never ending but after a few more the event marquees came into view and we knew we were nearly there. This was it.. This was the end.. We had done it! A proud moment and it was incredible to share those last miles and finish with my brother. Our very first marathon and one I don’t think either of us will forget in a hurray! 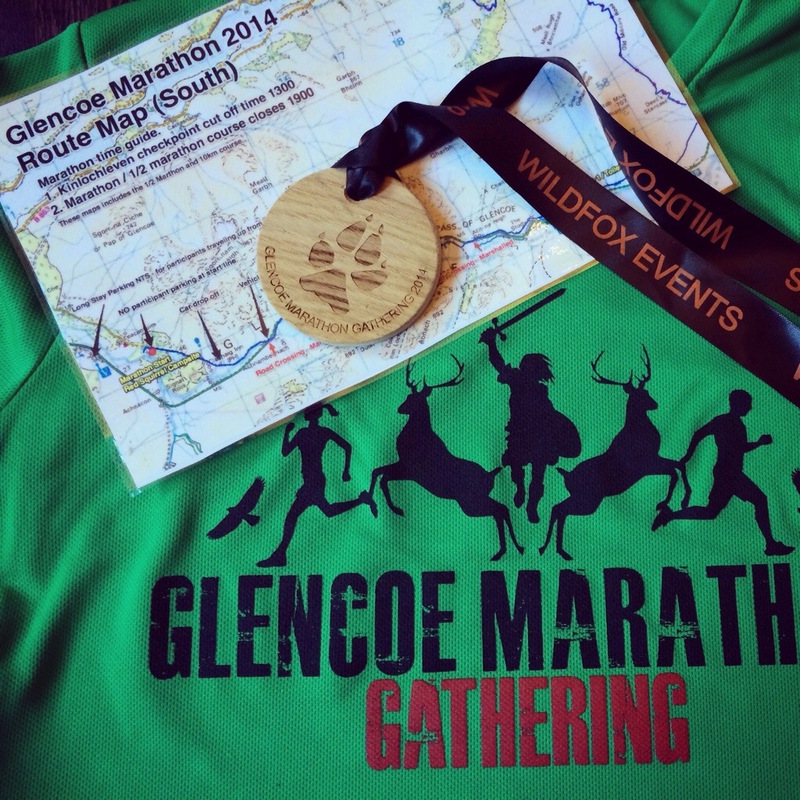 A superb race and a brilliantly organised event. Over the past month I’ve been putting my Berghaus vapour storm and HyperTherm jackets to the test. The temperature in Scotland seems to have plummeted over the past few weeks and I have had the opportunity to really see how the Vapour light HyperTherm jacket does in these conditions. The weather has also been fairly unsettled with lots of rain and wind so I have been using my Vapour storm jacket to shield me from the elements and keep me dry. I’m finding the two jackets to be a great edition to my mountain/trail running kit and both items have been proving very handy and efficient. The vapour storm jacket is nice and light and doesn’t allow in any drafts due to its contoured fit. The fish scale type vents at the front of the jacket are water tight for the conditions I’ve experienced so far and seem to help aid breathability. I also really like the thumb loops at the cuffs which keep the jacket in place keeping your arms and hands cosy. There’s enough room in the sleeves to roll them up if the weather is showery but warm and you require a wee bit of air around your arms. I’ve also had comments about how bright & colourful the vapour storm is on the hill which is great as I’m sure if I ever needed rescued (god forbid) I’d be easily spotted. My Vapour light HyperTherm is a very handy layer. I have not been using it so much for the wet days yet as it’s still quite mild outside to wear under my vapour storm but I have certainly been waring it on my evening runs home from work when it’s dry but cool. I’ve also been finding it very useful to pop on after a run to warm me up a bit. Both the Vapour storm and HyperTherm jackets are ideal items to have in a trail runners back pack. The HyperTherm is a very light and versatile extra layer and the vapour storm jacket, a reliable, outer shell protection against the elements which us runners need when we’re out running in the mountains. Where do I get my motivation? This is a question I get asked quite a lot. I’m the same as everyone else! It’s a miserable day outside..I’ve been working 12 hour shifts all week..I’m tired..I feel selfish leaving the family..
All these thoughts go through my head the same as everyone else and sometimes, like over the past few weeks for me, these things do effect my everyday running but the only way to get through it and back on track is not to let these things take over your mind in a long lasting way. As I look at my runkeeper/strava feed from the past couple of weeks, I feel disappointed in myself that after all my regular training, building up my leg strength and milage that I have let it slip a bit. More important things in life take over sometimes but it’s how you pick things up again and keep going. I have set myself a goal, a challenge that I will run and complete a mountain marathon on the 4th of October this year. This is my main motivation. When I’m feeling like I need a bit of a lift I go and find inspiring people who share my passion in life and I get so inspired reading what they’ve done that it’s like an injection of adrenaline and I want to just run out my front door and challenge myself to do something great! I try really hard not to allow myself to get engulfed in negative thoughts when I can’t get out, it’s a downward spiral. If you can’t stick to an exact training programme due to work etc, you just need to keep going the best you can, even if it’s just something small each day. 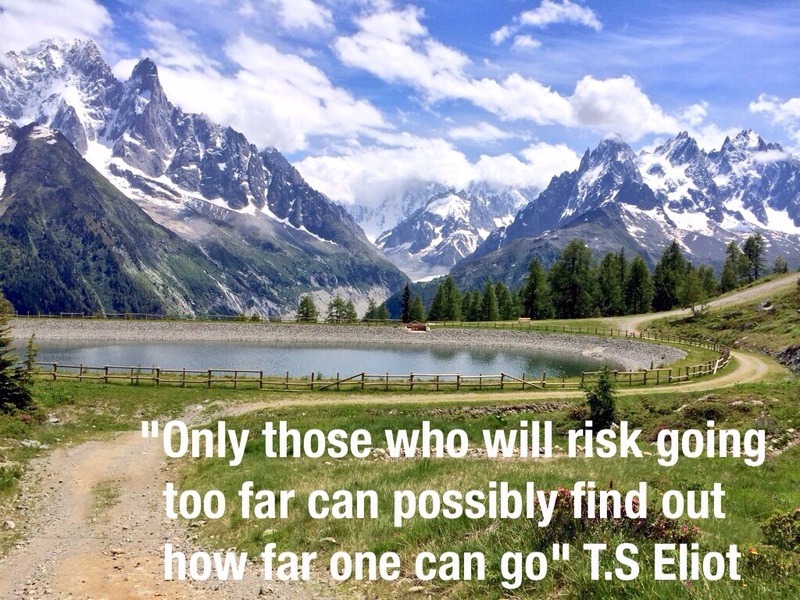 I have exactly seven weeks until my mountain marathon and this week I have been looking at what I can do next. This week I have had three consecutive days off work so I decided to Max them and challenge myself to a back to back hard session to see how my body coped. 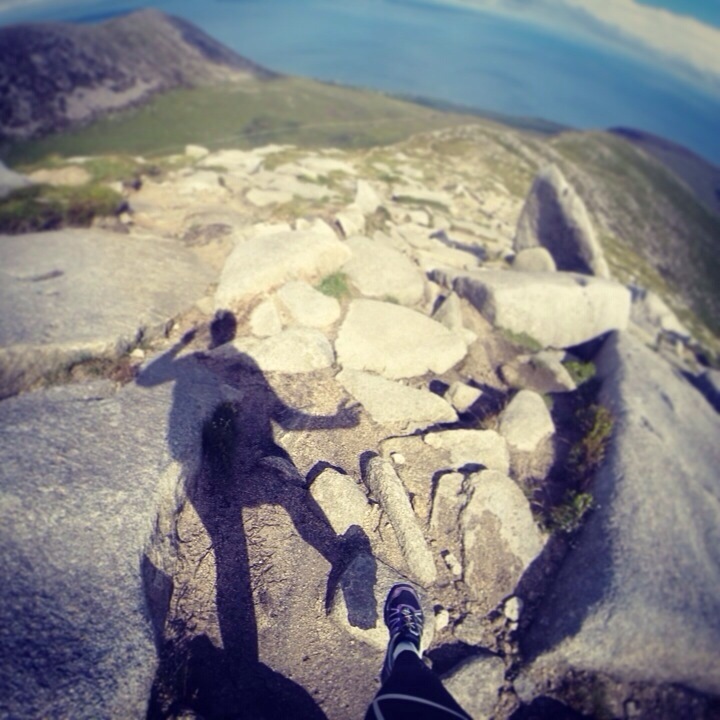 Day one was a lucky run up one of my favourites and highest spot on the island – Goat fell – 2750ft – 11km. Running in the rain can be really wonderful in the summer, I really enjoy the freedom and freshness of it and tend to run in shorts with a light,long sleeve base layer and a waterproof jacket if it’s torrential. At the moment I am continuing to use and test my kit kindly supplied by Berghaus which consists of the following.. I am enjoying wearing it all and you know it does it’s job well when all that you are thinking about when you are out is your running technique, next challenge, food and of course the scenery. Everything is so comfortable and light weight that I just haven’t had to think about changing anything. As I set off the weather had improved dramatically and the sun was beaming through the clouds. There was still that freshness in the air and I had a wonderful run up to the summit cairn. 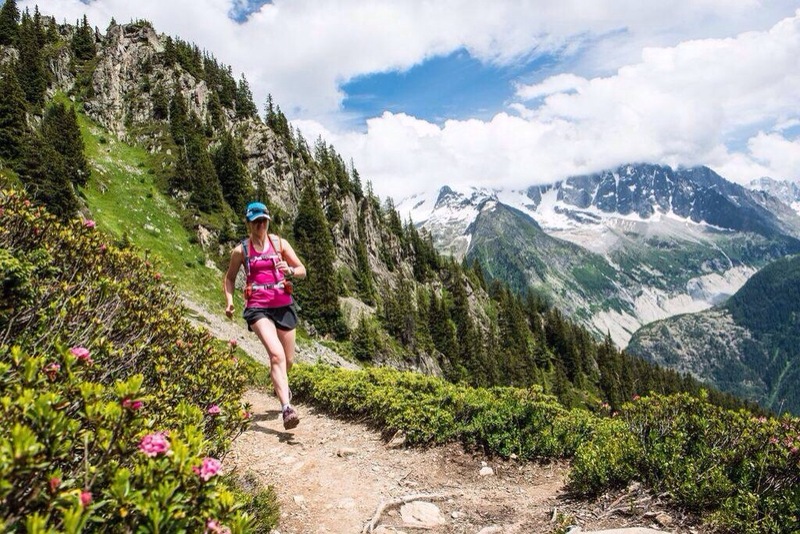 Keeping in mind all of what we were taught in the alps by Julia of Tracksandtrails, I tried to stay light on my feet, keep my body relaxed and as upright as possible and power walk the very steep sections. Interestingly I was reading a post today that Torq have redesigned the opening tab of the gels to help prevent littering! This is an ace idea as I have been paranoid of losing the wee bits whilst footering around with stuff in my pack. I am a strong believer of “leave the hills as you find them” so this is just proof that these products don’t just taste great and work well but the company are caring about the environment too which is brilliant! My run on Goat fell was just one of those special unexpected days. I only passed a few folk coming off as I was heading up and I had the summit all to myself in the sunshine whilst the rain clouds covered the majority of the surrounding hills- magic! 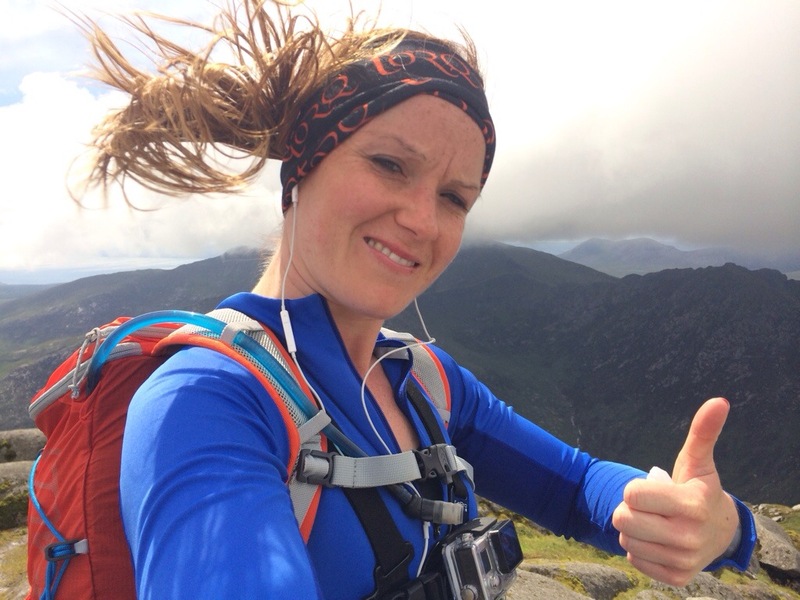 I wasn’t pushing it too much on Goat fell but I felt strong and more confident on my descending than my previous run up there and am enjoying thinking about and practicing all the things we learnt In the Alps. After an amazing day up Goat fell the previous day tackling some technical terrain, I thought I’d give my legs/mind a wee test of endurance and chose to run the Ross and back. 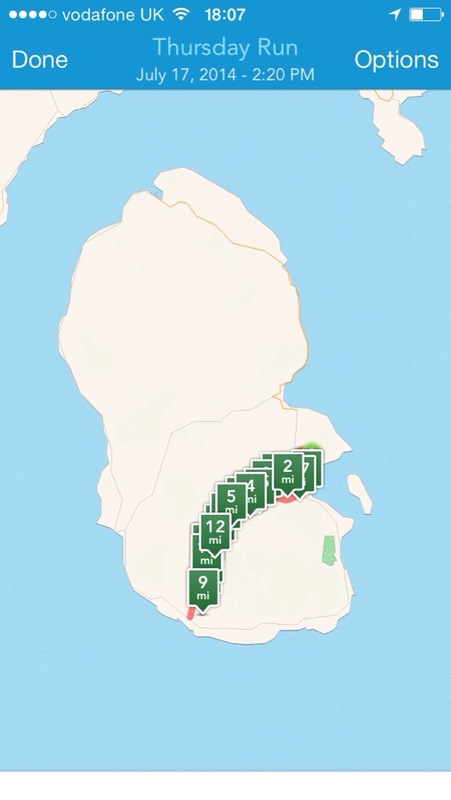 The Ross is a picturesque single track road which climbs steeply out of the village of Lamlash to its highest point (just over 900ft) then heads down the other side, eventually spitting you out on the other side of the island. Basically once you reach the other side you just turn around and do the same again but the opposite way. Knowing I had 18 miles to conquer and with the weather being a scorcher, I loaded up my pack with extra fuel and 2 litres of water/electrolyte/energy mix. I also took an extra TORQ bottle with me as I knew there were a few steams along the way to fill up from. Running on the road isn’t something I do a lot of but it was a nice change to test my speed a bit and I’ve always wanted to complete the entire Ross road and back in one go! After a very hot 18 miles and some fairly substantial climbs I was pleased to have completed it in under three hours after yesterday’s mountain run. I’m trying to focus more so on time on my feet at moment and really enjoying just being out for hours at a time, training myself to fuel efficiently and concentrating more on my running form and where I can improve. “Anybody can be a runner… We were meant to move. We were meant to run. It’s the easiest sport”. I went out there as a trail runner whose longest run equated to 26km and came back with having completed 93km and 3600m of ascent. I’m still coming to terms with the amazing experience we all had! This trip has honestly changed my life and I am more excited than ever to get on with my lifetime goals and challenge myself to do things I may not have thought I was ready for before this trip. The inspiration and determination of everyone in the trail team shone throughout and I think we are a strong team who can motivate each other to do great things in the future as well as helping to motivate others in the process. Our fantastic guide Julia from Track and trail was an inspiration throughout and kept us going to meet our targets throughout the whole journey. She led us on some amazing mountain trails through Chamonix, Italy and Switzerland and gave us top tips and advise along the way. Meeting and running with legendary adventurers Phillipe & Anna Gatta and hearing their advice and stories was just amazing, it’s just brilliant to see people living life to the full and not being scared to go for it and take on these amazing challenges. We are all human at the end of the day but some push the boundaries of what is classed as normal and reap the joys of achievement. I feel like I’m ready to push a little higher than the previous boundaries I had given myself and take on things that before this trip I would have thought were outside my capabilities . After three full on days running through France, Italy and Switzerland you could say that would be a good test for a pair of trail shoes! With some technical accents and descents thrown in and a mixed day weather wise on day two( very wet under foot) I’d say that a pair of shoes that were comfortable, super light, breathable and grippy would be ideal to support a pair of feet for the journey ahead. I chose to wear my Berghaus Vapour light claw shoes for the duration. We had a very fast,steep technical decent on the first day and I felt they weren’t quite supportive enough around the sides of my feet for that but for the rest of the trip they were fantastic and the fact I have no blisters at all after 93km in the heat is amazing. My conclusion on the woman’s vapour light claws is that they are a fantastic overall shoe for mostly all trails except for the very steep, technical descents. 3 days of running, 93km, 3500m of accent and a pair of vapour claws = a happy pair of feet!